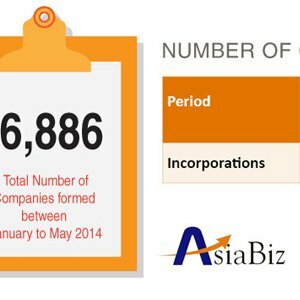 The following infographic shows the total number of company incorporations in Singapore between January and May 2014. March saw the highest number of company formations during this period. February saw the lowest number of company formations. On average, 3,377 companies were incorporated per month.